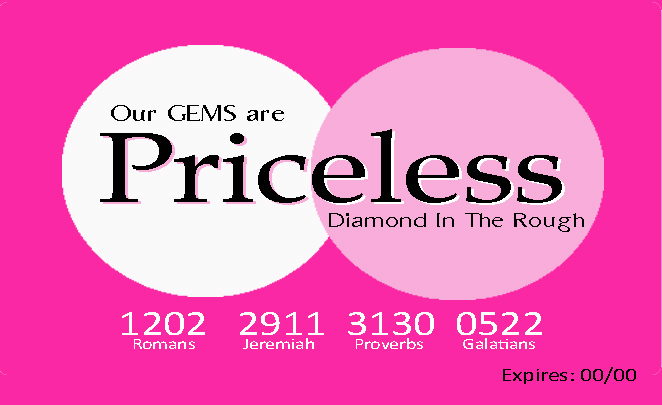 Thank you for your generosity and desire to help the cause of Diamond In The Rough (DITR). The majority of DITR's operating budget is raised through kind people like you. Whether you are contributing a one time gift or you are part of our Priceless Partners Program you are helping to ensure that there will always be a place for kids to learn, grow and share. You can also make a donation through our Dollars for Diamonds Campaign. All contributions to DITR are used for program development, training, and operation of our youth programs which provide mentoring, life skills training, educational assistance and career coaching. DITR gladly accepts cash donations and in-kind contributions. Gifts to DITR can also be made through bequests, retirement plans, life insurance policies, trusts or other financial planning options. Click here to make a secure, on-line credit card transaction. (678) 376-9676 and a program representative can take your credit card information by phone. The DITR Priceless Partners Program is a great way for individuals, organizations and corporations to provide ongoing support to DITR through tax-deductible monthly financial contributions of any amount. The Priceless Partners Program helps DITR in our efforts to offer programs at little to no cost to participants. A little love really does go a long way.